I usually make some type of salad on a daily basis, and love to add a wide variety of fruits and vegetables to my salads. 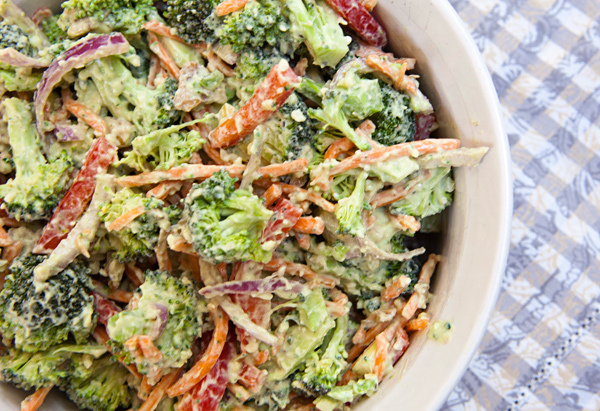 In the past few months, I have started making salads using raw broccoli and cauliflower and I thoroughly enjoy the crunch in these salads as well as their versatility. 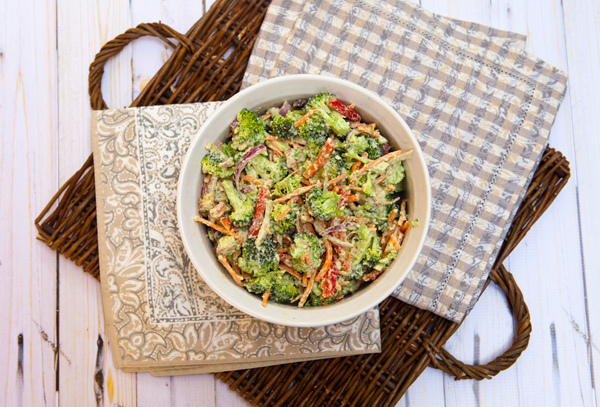 In this particular salad, I featured broccoli used raw cut into bite sized pieces to which I added shredded carrots, red onions, slivered red peppers, and sunflower seeds. 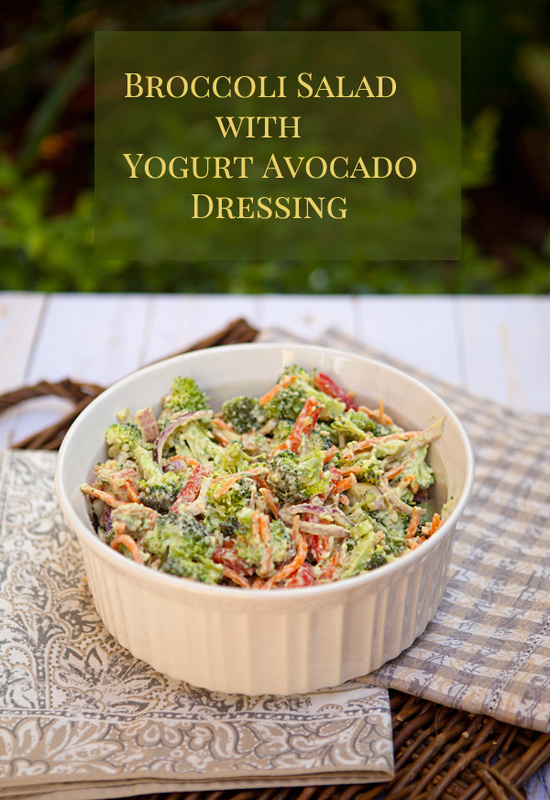 For my dressing, I wanted to create something creamy but I also wanted to keep it healthy. I did have a small avocado on hand that was quite ripe so I made a dressing of the avocado, fat free Greek yogurt, apple cider vinegar, lemon, salt and pepper. 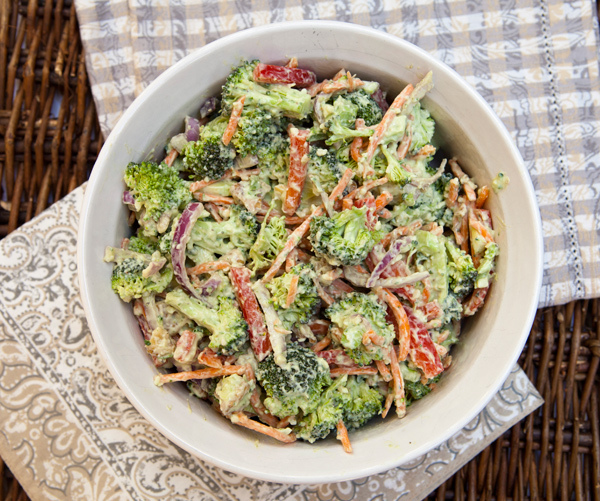 This salad is colorful, crunchy, and full of flavor and would be a great choice for lunch, or as a side dish for dinner, particularly when grilling outdoors. Place the dressing ingredients into a blender and puree until smooth. Taste, and adjust seasonings or acids as needed. Spoon 3/4 of the dressing into the salad and toss to mix well.